Article temporarily not in stock. 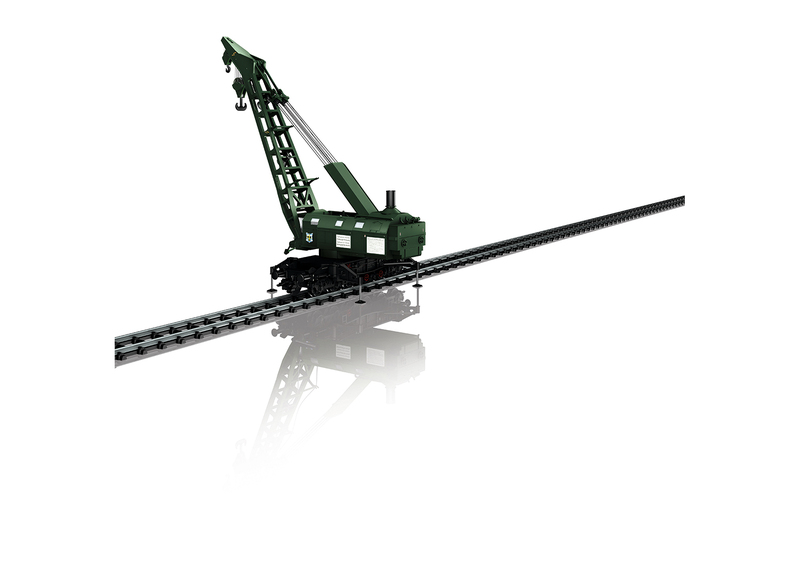 Model: The crane car has an mfx+ digital decoder and sound functions. 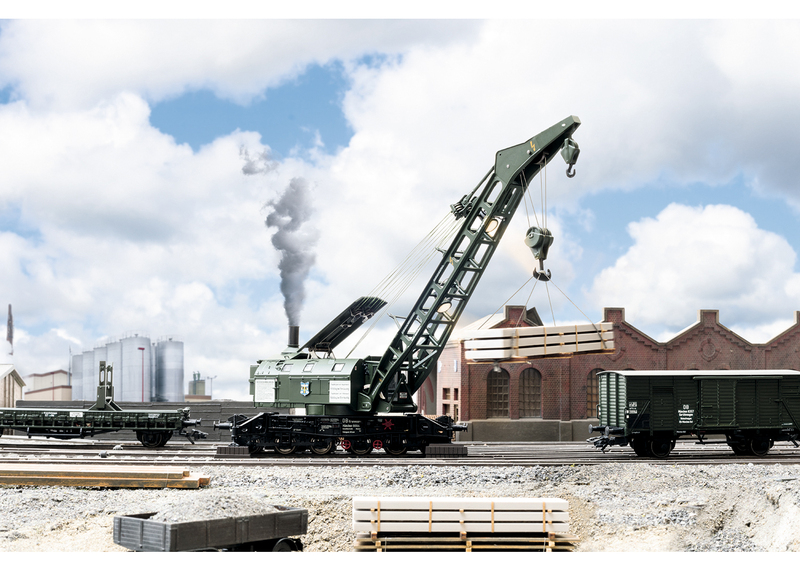 The crane superstructure with its boom can be rotated 360° on the ring gear. The boom can be raised and lowered by means of a pulley. 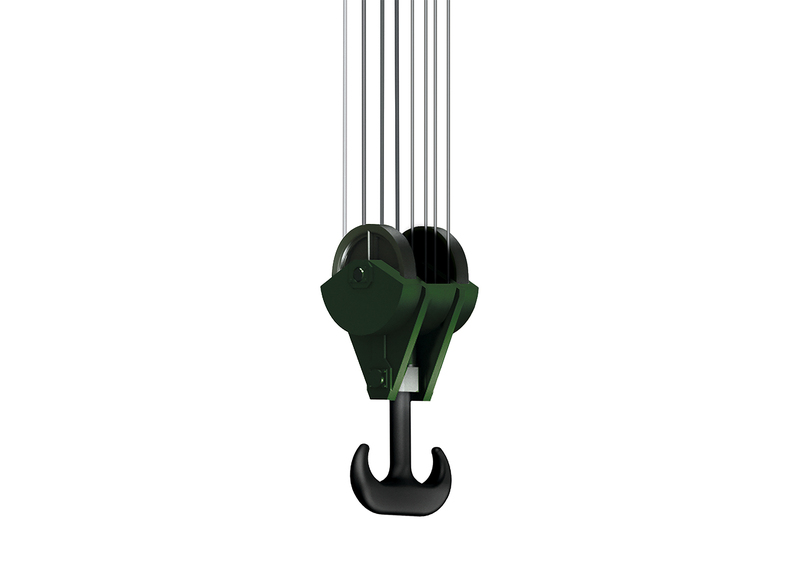 The main hook made of metal can be raised and lowered by means of a pulley. The crane cab lighting can be controlled digitally. Two floodlights on the boom can be controlled digitally. LEDs are used for the lighting. The crane car has a built-in smoke unit that can be controlled digitally. 4 support arms can be swung out manually and they can be positioned with spindles on the bases included with the crane car. The smoke stack with a smoke hood can be removed or installed. A counterweight made of metal can be partially removed and placed on the buffer attachment. 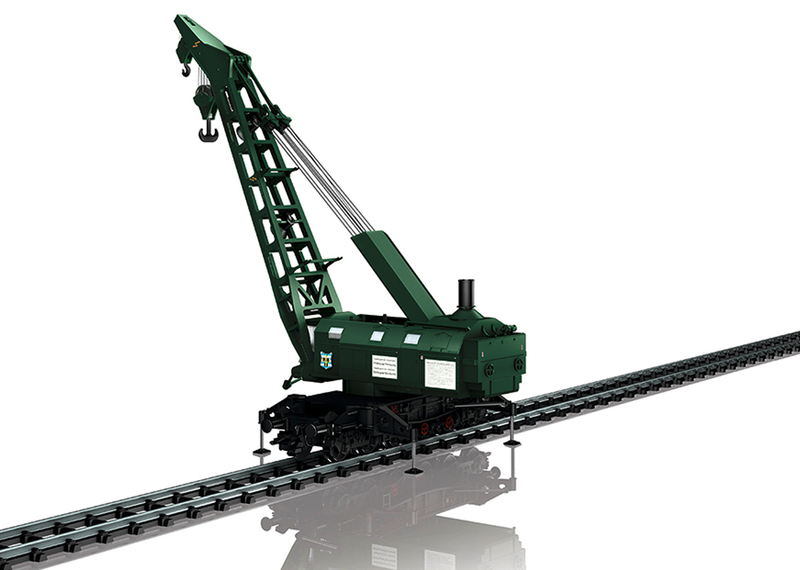 The crane car has a 6-axle car frame and a crane housing constructed of metal. 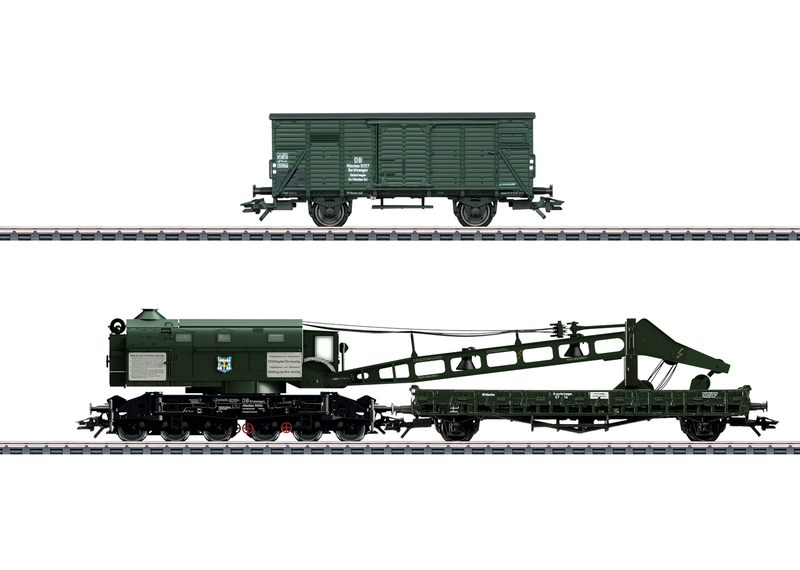 There is a stake car (converted from a type Rms Stuttgart car) with a guide block as a crane tender car. A former Association Design type G car with end area reinforcement and without a hand brake functions as an equipment car. The minimum radius for operation is 437.5 mm / 17-1/4"! Total length over the buffers approximately 36,6 cm / 14-1/2". This model can be found in a DC version in the Trix H0 assortment under item number 23057. + Built-in LED interior lighting.